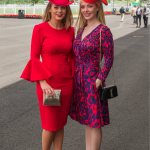 Ladies in their brightest finery flocked to Down Royal this month where one Victoria Corr from Galbally, County Tyrone dressed her way to Miami and a Caribbean cruise after receiving the accolade of Magners Best Dressed in a red bell sleeved pencil dress and hat by Laura O’Hanlon Millinery. 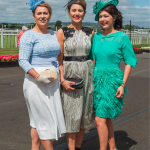 Competition was fierce at this, one the most stylish events in Ireland’s racing calendar. 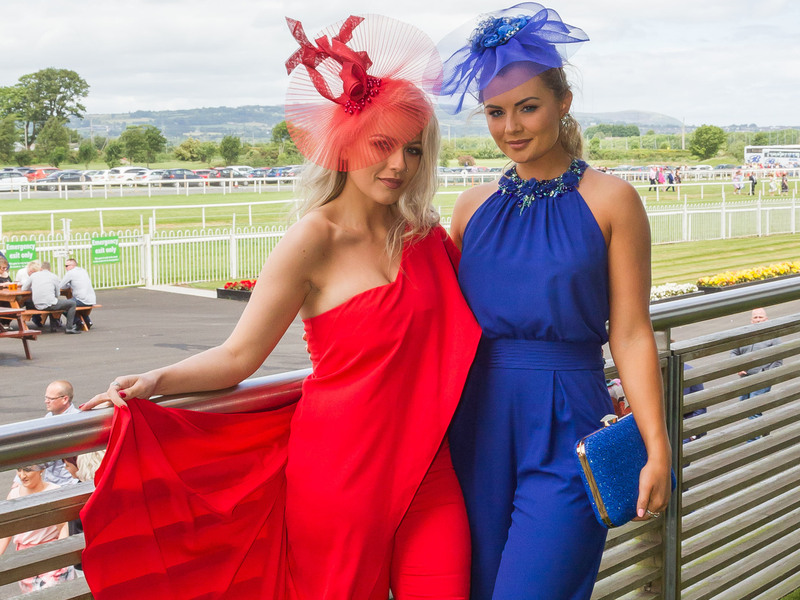 Innovative headpieces, glamorous heels and brave colours paraded around the track of oblivious horses in blinkers. 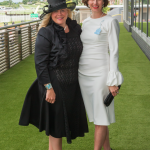 The judges however; Rebecca McKinney, Pete Snodden, Diane McStay, Julia Galbraith, Magners brand manager and Ulster Tatler’s Nuala Meenehan had their eyes peeled in scouting the very best of the day’s style which was copious. Ulster Tatler’s own judge was among those dressing to impress, matching a vintage pillar box hat in marigold to her vintage floral tea dress and bag by Chanel. Her hat, as many other hats on the day, celebrated small Irish designers, provided by Laura McPolin at the Walk in Wardrobe Banbridge. 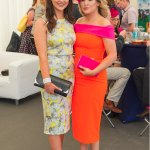 For more on this event, pick up the Ulster Tatler August issue which is now on sale. Grace Ryan and Eilish Ryan. Victoria Corr (Winner) with Mother Carmel McNamee. Victoria Corr (Winner) and Laura O’Hanlon. Marcella Campbell and Elaine Carson. Carmel McNamee and Loreena Burns. Emma Scott and Danielle Davis. Geraldine Gallen, Sinead Boyce and Bernadette Roarty. Cara McAleenan and Eimear McCullough. Ashleigh Coyle and Rebecca Maguire. Melissa Riddell and Tiffany Brien.